We have our labs in the Physical Science building at UCF. 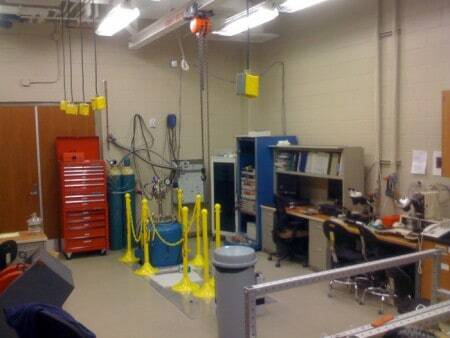 The main lab (where we run most of our low-temperature measurements) is shown in the picture below. 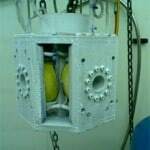 It is arranged around a three-dimensional superconducting vector magnet capable of generating magnetic fields up to 8 Tesla. He3 cryostat: This flexible cryostat allows quick and flexible measurements in a wide temperature range (from 0.3K to room temperature). 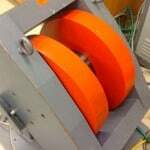 This magnet allows the application of high magnetic fields in arbitrary directions, being a precious tool for the study of anisotropic magnetic materials or quantum properties dependent on the direction of the applied magnetic field, such as quantum tunneling of the magnetization in SMMs. 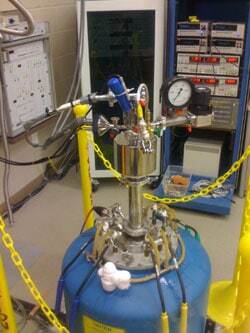 For room temperature experiments up to 1.4 Tesla applicable in any arbitrary direction in a plane. 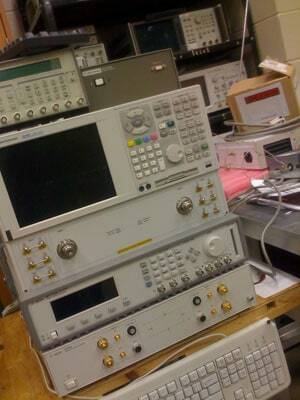 An Agilent Technologieshigh sensitivity Vector Network Analyzer, working at frequencies from 45MHz to 110GHz, is available for microwave excitation experiments. This system will work at higher frequencies with the use of external multipliers that will soon enhance the high frequency capabilities of our lab. 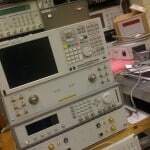 Several measurement techniques are available in our lab. 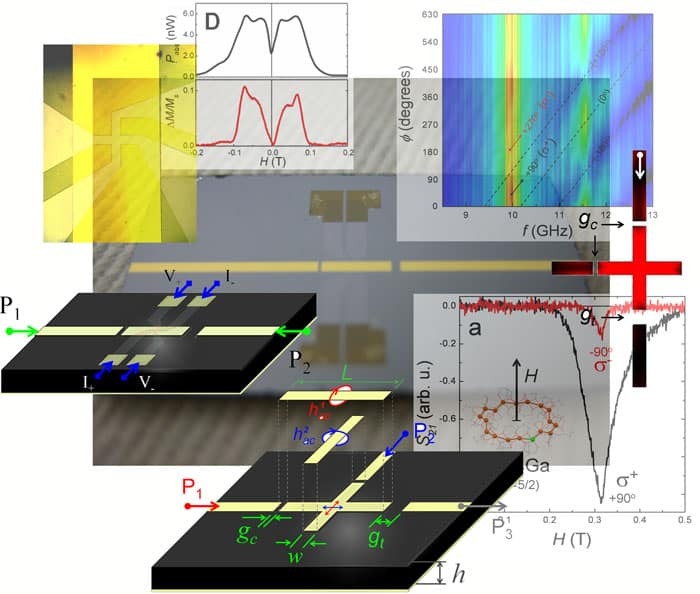 High sensitivity micro-Hall magnetometry, high-frequency Electron Paramagnetic Resonance (EPR) and Single-Electron Transport (SET) spectroscopies are the main tools for characterization of quantum properties of SMMs. 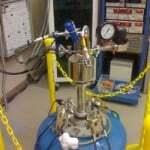 New techniques have resulted from hybridization of existing measurement techniques. 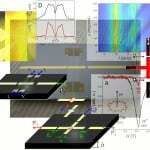 These new techniques are being designed in order to study quantum dynamical properties of the magnetization in SMMs. 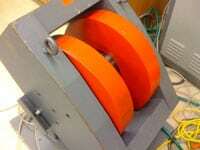 Real-time fast magnetometry and spin-echo experiments are being combined for this purpose.